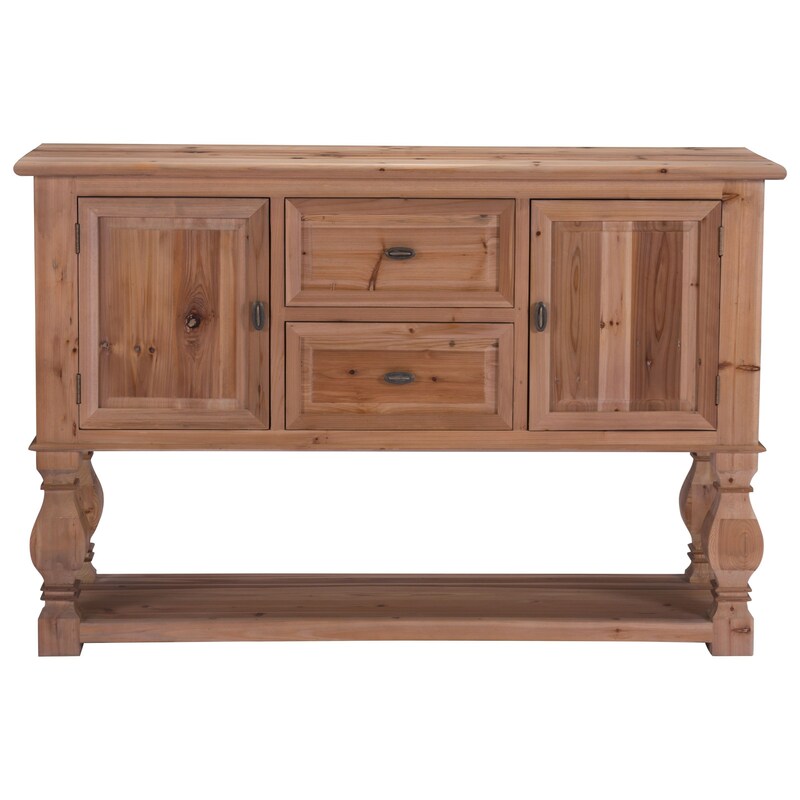 The Columbus Buffet boasts a urban farmhouse styling features a unfinished and unsealed finish with a soft warm hand to the distressed natural finished Fir wood , adding a touch of elegance to any dining room. Buffet features two cabinet style doors, two drawers and lower shelf for display or added storage. Hardware is industrial grey finish knob style. No assembly required. The Columbus Buffet by Zuo at Del Sol Furniture in the Phoenix, Glendale, Tempe, Scottsdale, Avondale, Peoria, Goodyear, Litchfield, Arizona area. Product availability may vary. Contact us for the most current availability on this product.